No drink minimum, no cover charge! 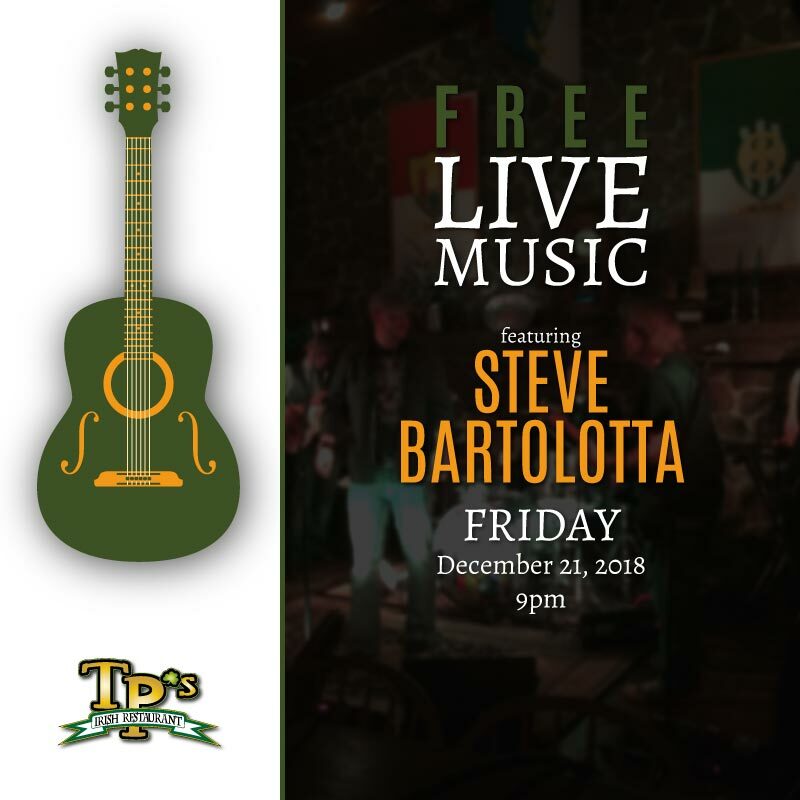 Kick off your holiday celebrations early with live music from Steve Bartolotta (formerly of Sour Mash)! Steve will be rocking the house starting at 9pm, and don’t forget to come early and enjoy Happy Hour specials from 3-7pm prior to the show!